Years after the housing market melted down, lenders are lamenting the loss of thin, sleek mortgage application files. 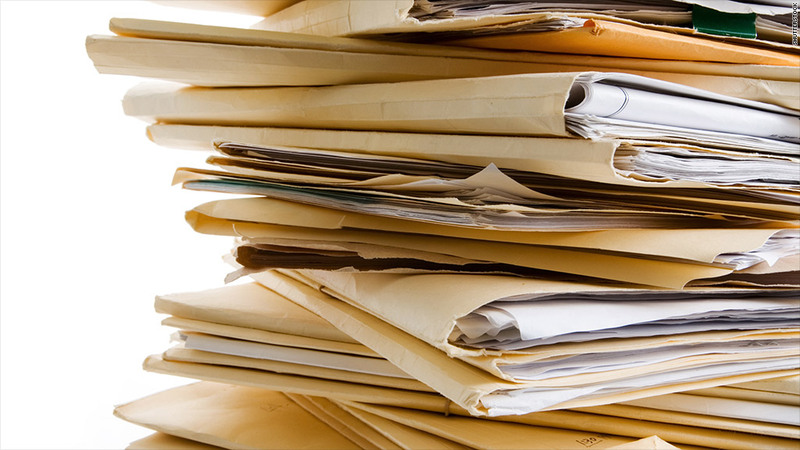 Once easy to carry in one hand, the average mortgage application file has now ballooned to 500 pages, according to David Stevens, CEO of the Mortgage Bankers Association. "Since the housing bubble burst, file size has grown steadily and dramatically," said Peter Grabel, a loan officer for Luxury Mortgage in Stamford, Conn.
Just seven or eight years ago, the typical application file ran to about a hundred pages, he said. Some for "no-doc" loans were thin indeed, not much more than a credit report, plus an appraisal and property information. But now files are more jam-packed than ever, with income and asset records, tax returns and other financial documents. "We now need two years tax returns, two months' bank statements, sourcing of every deposit... on every file," said Grabel. A middle-income worker financing a median-priced house may get away with just a few hundred pages, but business owners or wealthy people with several income streams can generate paperwork better measured with yardsticks than page numbers. What gives? After the housing meltdown, tighter rules were put in place, requiring an explosion of disclosures to be included in mortgage applications. Those alone account for nearly 50 pages, said Grabel. One disclosure even invokes the Patriot Act, the post-9/11 legislation designed to combat terrorists. The Feds require lenders to verify the borrower's identity to make sure they're not suspected of funding or laundering money for terrorist groups. All this amassing and analyzing of documents costs both time and money. 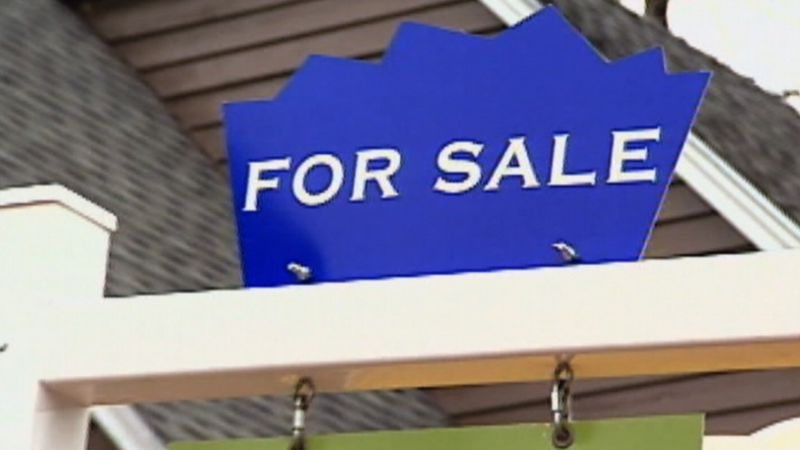 And new mortgage lending rules that are going into effect in January will make it even more complicated. "New rules require you to triple-check everything," said Jeff Taylor of Digital Risk, a mortgage processing company. "The best thing you as a borrower can do to help yourself is to have all your documentation together before you apply. Get needed items like your credit report and get any errors corrected so you can get through the process as smoothly as possible." Some of the documentation that's required can seem silly. An applicant may have $1 million in the bank, for example, but if there has been a recent deposit of, say $5,000, he is required to show where that sum came from. The rationale, explained Grabel, is that Fannie Mae and Freddie Mac frown upon buyers who use loans from friends or family to apply to the downpayment. If borrowers have to repay those private loans, it can make it harder to pay off the mortgage. So every deposit coming into an account has to be accounted for and scrutinized. The checklist lenders use to manage the application can run three pages long (and is also added to the file). The one Grabel uses has four categories: disclosures, credit package, appraisal package and items needed prior to closing. There are 55 separate boxes to check, covering such items as the good faith estimate, asset statements, and the original appraisal report. No one ever said borrowing hundreds of thousands of dollars should be easy, but today's requirements are a far cry from the days of the housing boom. "Seven years ago, you signed your name and got your check," said Grabel. Of course, you can always pay cash instead. That's what Taylor's brother did recently and it certainly simplified the transaction. "There were only three pieces of paper at the closing," said Taylor.